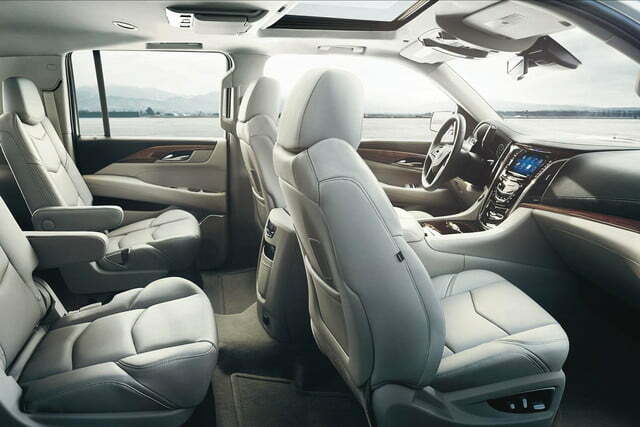 The Cadillac Escalade has never lacked for cool, but it has occasionally lacked quality. 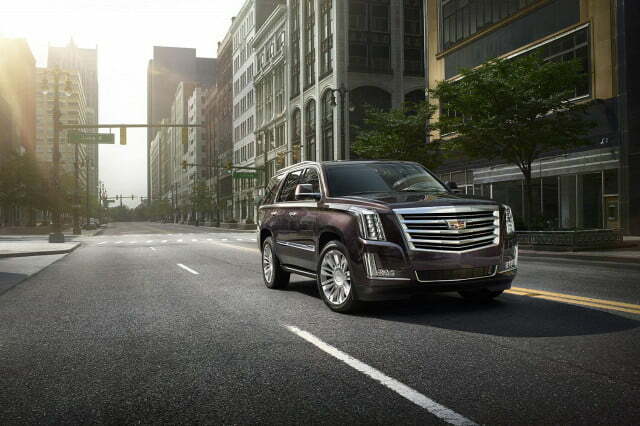 The new Escalade, though, is something different: a refined quality product. 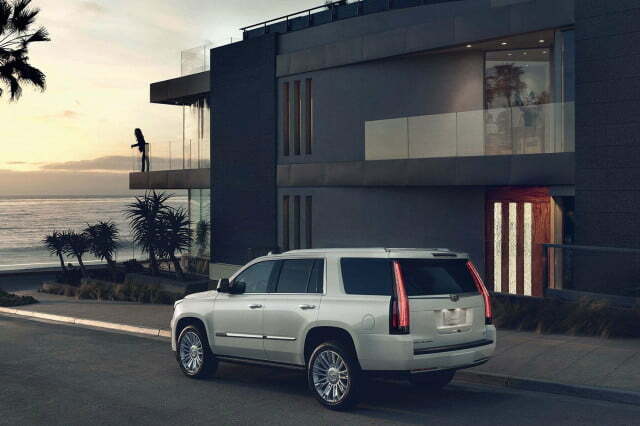 The Cadillac Escalade has been around for 16 years and three generations. During that time, it has been synonymous with being a straight-up baller. The problem is that, aside from looks, it has never actually been a very good vehicle. Old Escalades were slow, had with cheap interiors, and offered wretched driving dynamics and even worse brakes. While they fell flat on the road, they were at their best as stationary surfaces over which to drape babes in music videos. Thankfully, the new Escalade is a whole different story. It may be bigger, badder, and even more baller than ever, but for the first time in its history it is also a refined and fun vehicle to drive. In fact, the only thing about it that isn’t a dramatic improvement in the new Escalade is the fuel economy. 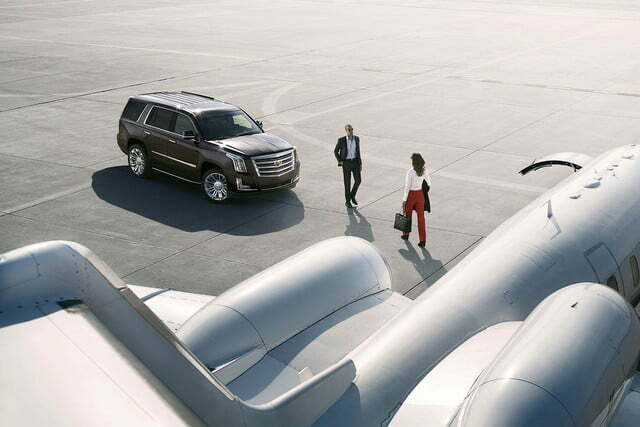 The defining characteristic of an Escalade is styling. A bad-looking, or even worse, subtle Escalade is slightly more useless than a submarine with a screen door. 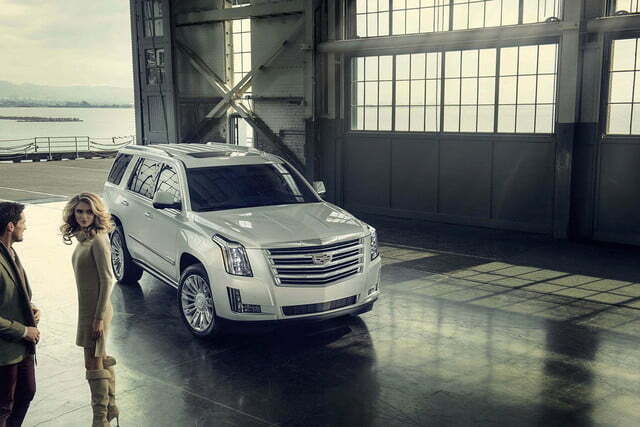 Happily, the new Escalade is a looker. For starters, there is the Caddy’s sheer presence. No one who saw the Escalade could avoid marveling at just how damn big it was. The sense of vast bulk is added to by classic Escalade touches, like rims the size of Fiat 500s and a grille that looks like it could fit on a semi. In a lot of ways, this new logo sums up the new Escalade’s look. Look more closely, though, and there are now some refined and even beautiful touches as well. The massive clear rear light assemblies look like something from a modern art exhibit. The door handles boast cleverly wrought LED lighting, and even the logo has gotten in on the act. New Escalades are ditching the traditional Cadillac shield in favor of a bolder, cleaner design — sans wreath. In a lot of ways, this new logo sums up the new Escalades look. Sure, it is brash and even vulgar, as is appropriate for the car that celebrates the most conspicuous sort of consumption. 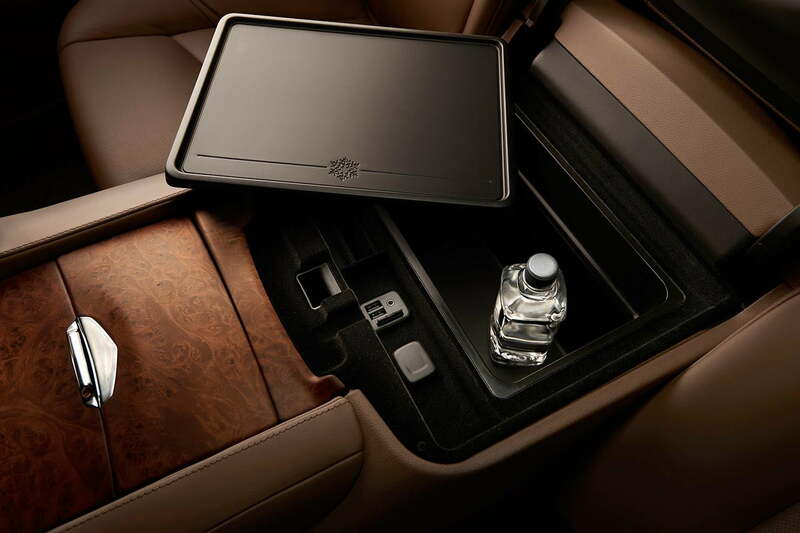 However, there is also a new thoughtfulness and attention to detail that highlights that the Escalade truly is a luxury product. Not so long ago the Cadillac Escalade’s interior was awash in fake wood and bits of plastic that started life in a Chevy Tahoe. 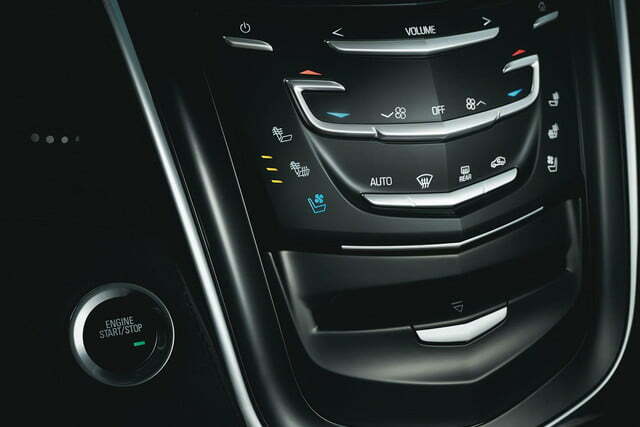 Compared to that, the 2015 interior is a revelation. My Platinum trim press demonstrator had more leather, suede, and wood than any three BMWs. Even better, it appeared extremely well assembled. 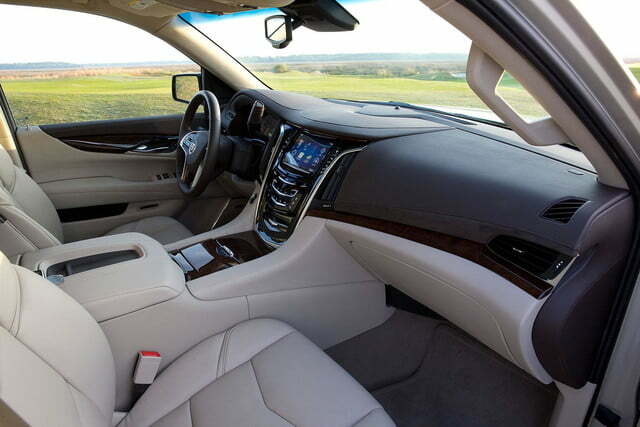 Gone are the panel gaps and loose parts that were the unfortunate hallmark of earlier Cadillac interiors. Along with the improved materials, there is modern design. 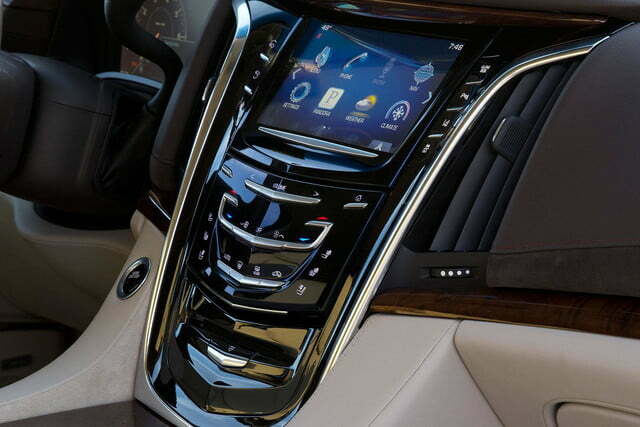 The center console is dominated by Cadillac’s CUE infotainment system. While this is in some ways frustrating to use, it definitely makes a modern stylistic statement, ditching buttons and switches for chrome and piano-black touch panels. 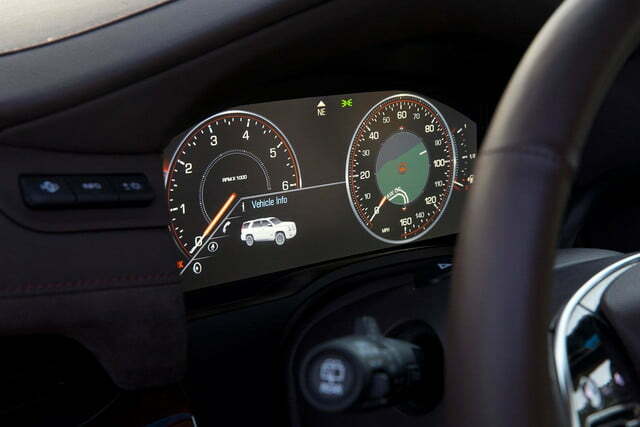 CUE isn’t the only high-tech thing in the interior either. 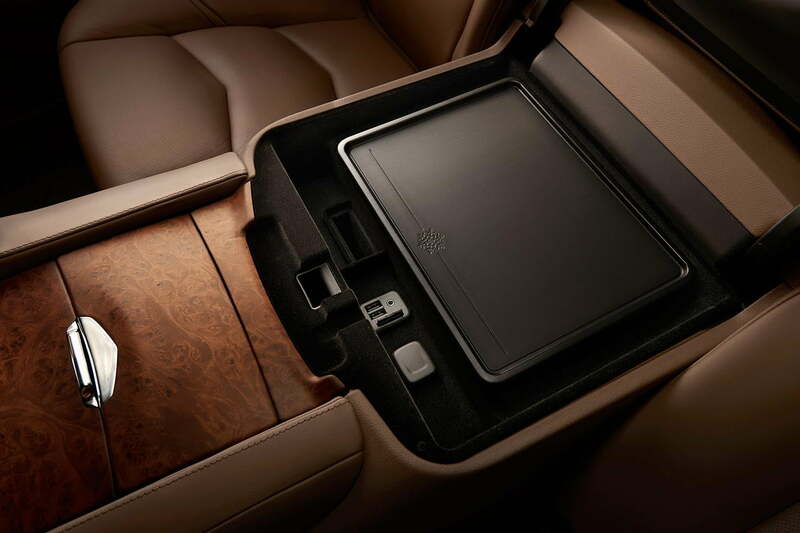 In its loaded Platinum trim, the Escalade features a staggering number of technological toys, including everything from heated, cooled and massaging seats, to a refrigerator and third-row seats that raise and lower at the touch of a button. 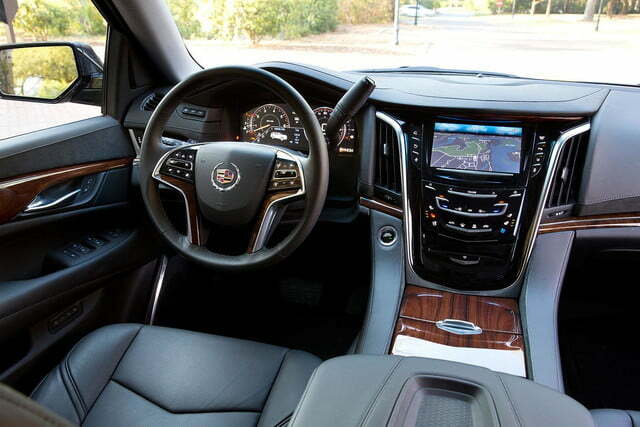 The result of all of this is that the Escalade feels worth its $93,000 price tag. The interior has the same luxury gravitas as its German and British rivals, as well as possibly even more features. What is more it is a comfortable and relaxing place to be. In fact I really only have two quibbles with this part of the Escalade. First, despite the monolithic exterior dimensions, the interior isn’t quite as big as one would expect. With the front seats all the way back, second row passengers have only adequate legroom. Also, with the third row of seats in position, cargo space is surprisingly limited. In practice, this will rarely be an issue but nonetheless disappointing. Second, while interior quality is up massively, there are still a few Chevy-sourced components kicking around. Both the control stalks, column shifter, and trim in the third row come from Chevy trucks. It’s hardly unforgivable, but not an issue that is likely to be found in other luxury SUVs. 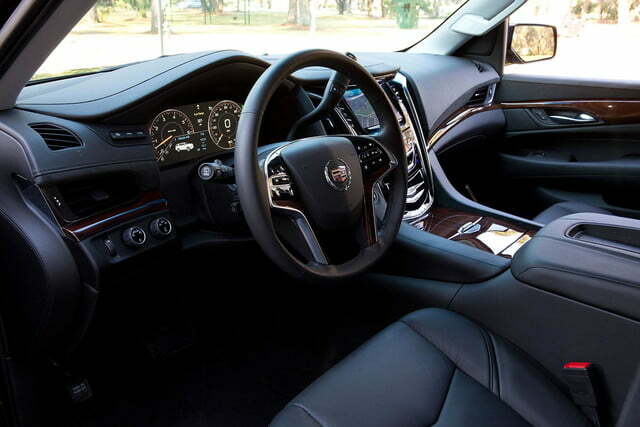 As impressive as the rest of the Escalade is, the real treat is how it drives. Despite using old-school body-on-frame construction and a pushrod V8, the big Cadillac rivals any of its foreign competitors on ride quality, if not handling prowess. It almost feels as though the Escalade is flattening the road beneath it. 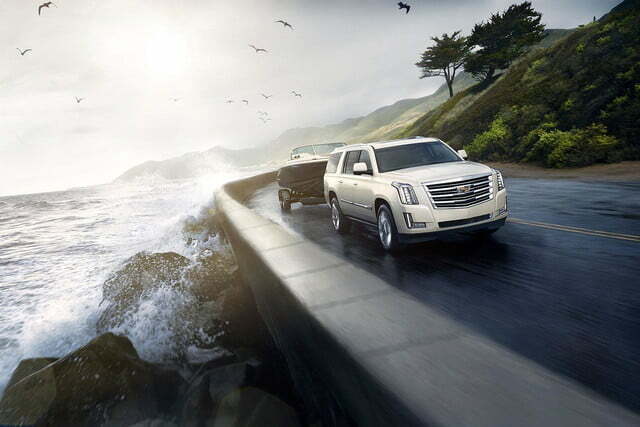 The standard wheelbase version of the Escalade weighs in at a pavement-cracking, bridge-sagging 5,840 pounds. It bears this weight shockingly well, though. It would be wrong, as well as faintly ridiculous, to call it nimble, but the Escalade has a really pleasant degree of poise. Steering is precise and direct, with force building nicely in hard turns. 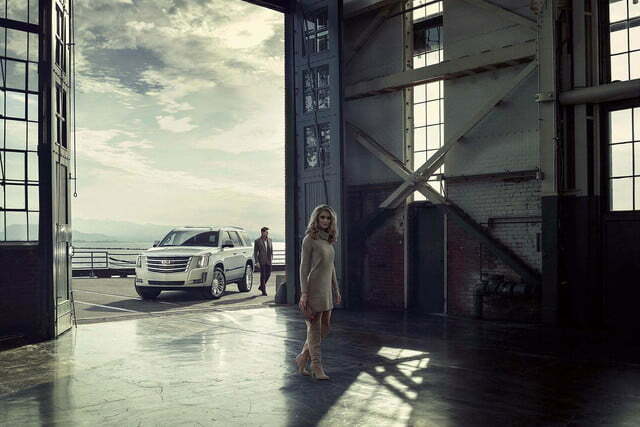 The suspension, given the weight and size, is a masterwork, keeping the Escalade level in all but the hardest corners. The truck’s 52/48 front-to-rear weight balance likely aids the suspension’s competence. 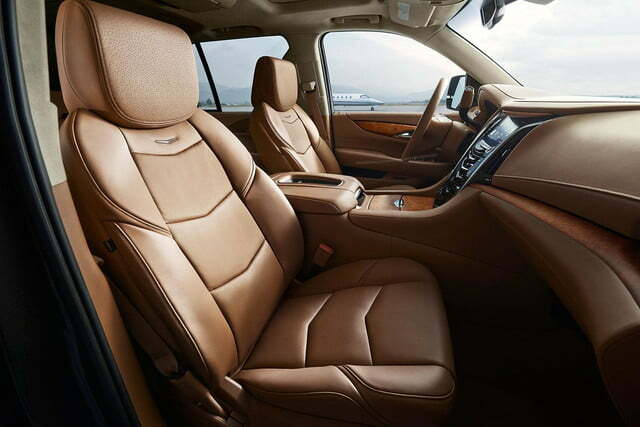 Certainly, the Escalade is far from sporty, but it is something more appropriate: luxurious. The ride is no small part of this luxurious, with the suspension devouring bumps and imperfections. It almost feels as though the Escalade is flattening the road beneath it. Power, as one would expect in a car mounting a Corvette-sourced, 6.2-liter V8, is plentiful, boasting 420 horsepower and 460 pound-feet of torque, which is enough to give a 0-to-60 time of around 6.0 seconds. Most of the time this power comes in a smooth wave, rather than an overwhelming burst. Though, this sensation of unstoppable force is more than appropriate for the car’s intended purpose. In total, the Escalade is a surprisingly nice car to drive. It is comfortable, powerful, and very well mannered. A car like a Range Rover may be a bit more refined and a bit sportier, but buyers opting for the Escalade needn’t feel like they are missing out. 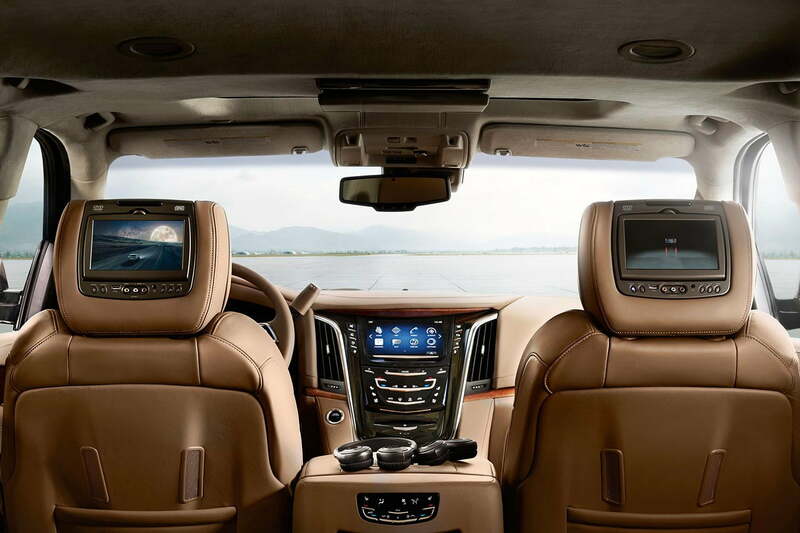 The Escalade isn’t exactly a subtle vehicle, so keep a digital eye peeled – so long as its legal in your area. 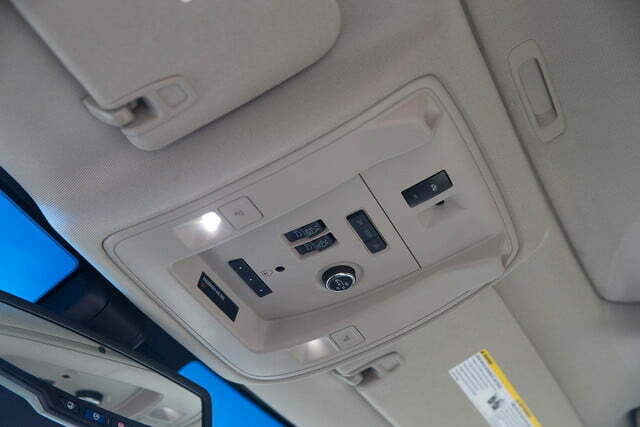 Lots of people are going to want to see your Escalade, you may want to keep track of them. Bring up the bling a notch with logos showing off the Cadillac shield. I am generally not a fan of big luxury SUVs; they have always struck me as being the pinnacle of form over function. So, I went into my time with the Escalade expecting to have a few laughs and generally enjoy pretending to be far cooler than I am … but not much more. To my surprise, I ended up not just liking the Escalade but respecting it. The big Caddy is an impressive feat of design and engineering, as well as being one of the most dramatic automotive statements for under $200,000. It certainly isn’t for everyone. The $93,000 price tag rules out a lot of people on its own. For those who appreciate what it has to offer, though, there is really no other choice. Fortunately for those people, the Escalade is also available at the more reasonable starting price of $73,965. Sure, at that price, some of the toys may be lacking. The style and critical engineering is still there. It may be hard to call that a bargain, but it does offer the chance to own something more than a bit special.